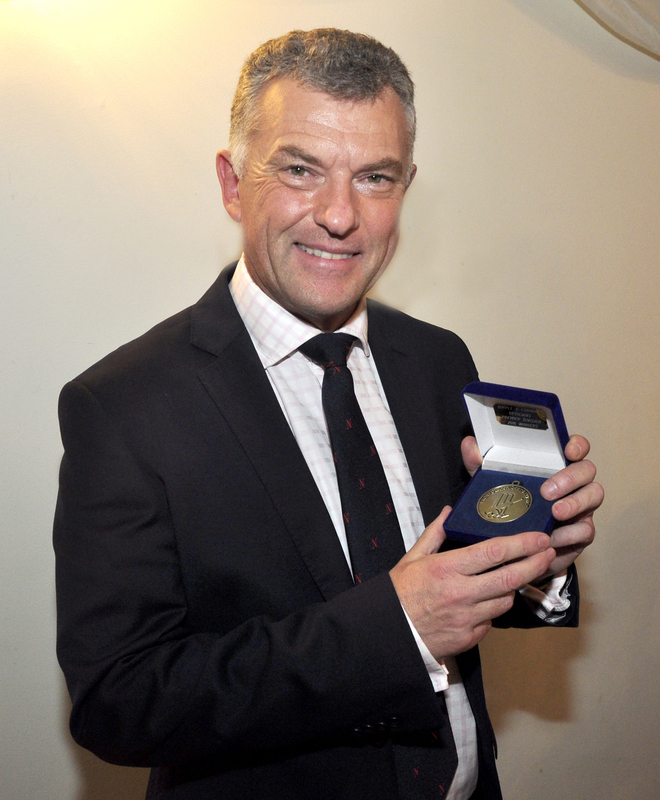 Anglia TV presenter Jonathan Wills, who compered the Dipple & Conway Opticians Norfolk Cricket Alliance 2016 awards night at the Wensum Valley Hotel and Country Club, shows off his own medal, presented to him as a member of this year’s Premier Division champions Brooke. 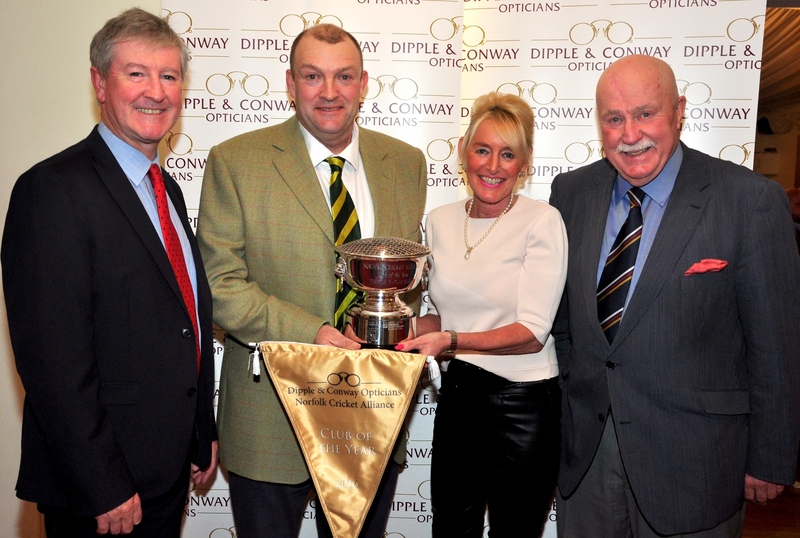 Holding the Club of the Year Trophy at the Dipple & Conway Opticians Norfolk Cricket Alliance awards night are Richard Lilwall from Great Witchingham and Carol Thomas from Swardeston. 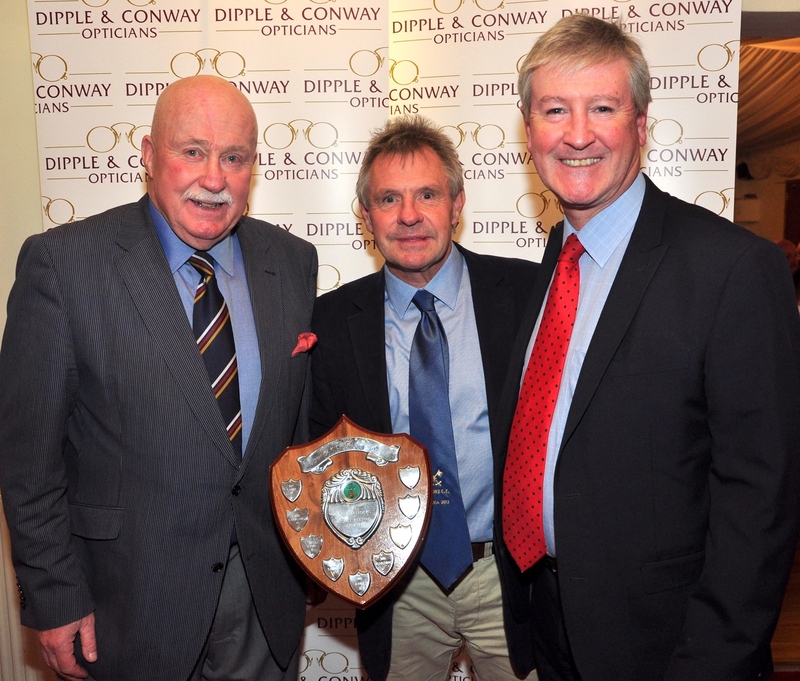 Making the presentation are Dipple & Conway director Damian Conway (left) and Alliance vice-chairman John Tythcott. 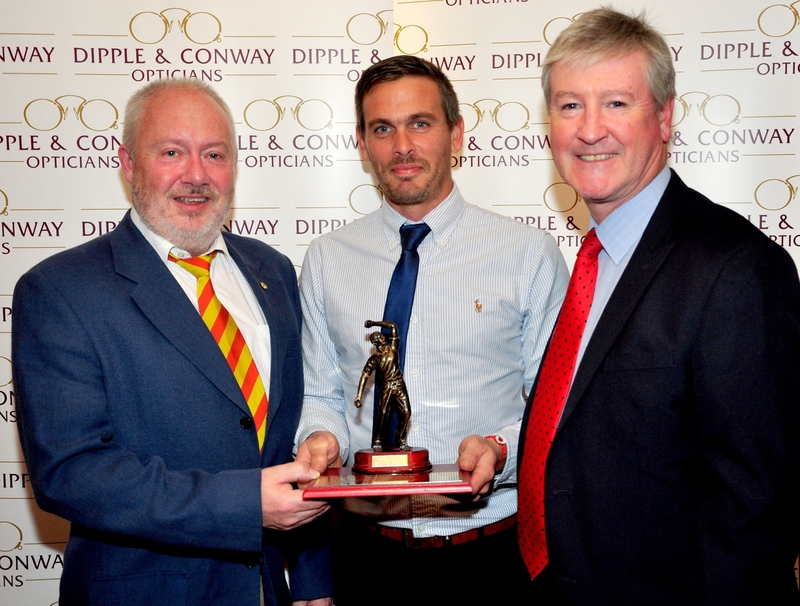 Making the presentation for Bowler of the Year are Dipple & Conway director Damian Conway (right) and Alliance Secretary Andy Westgate to Duncan Hewitt, who claimed 45 wickets during the 2016 season. The wicketkeeper of the year award is presented by Alliance vice-chairman John Tythcott (left) and Dipple & Conway director Damian Conway to Godfrey Bancroft on behalf of Brooke’s Matt Collinge for his 27 dismissals. 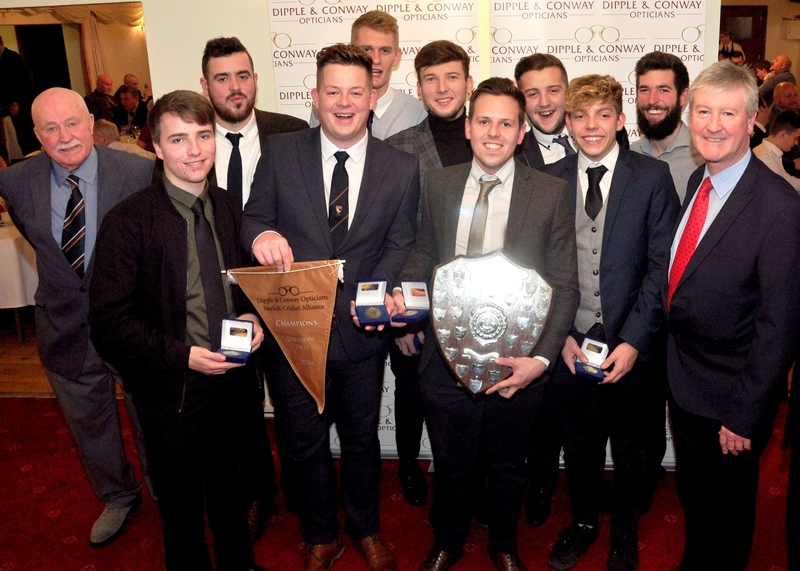 Dipple & Conway Opticians Norfolk Cricket Alliance champions Brooke celebrated their title-winning success at the league’s annual presentation evening. 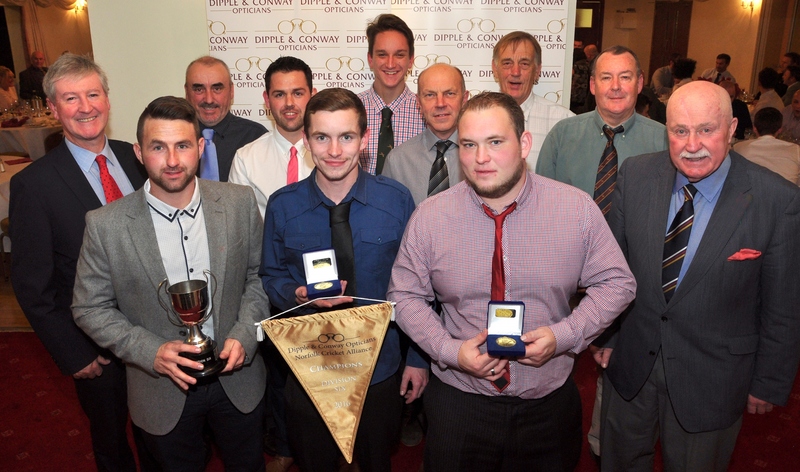 They were presented with their cup and medals by Dipple and Conway director Damian Conway (left) and Alliance vice-chairman John Tythcott. 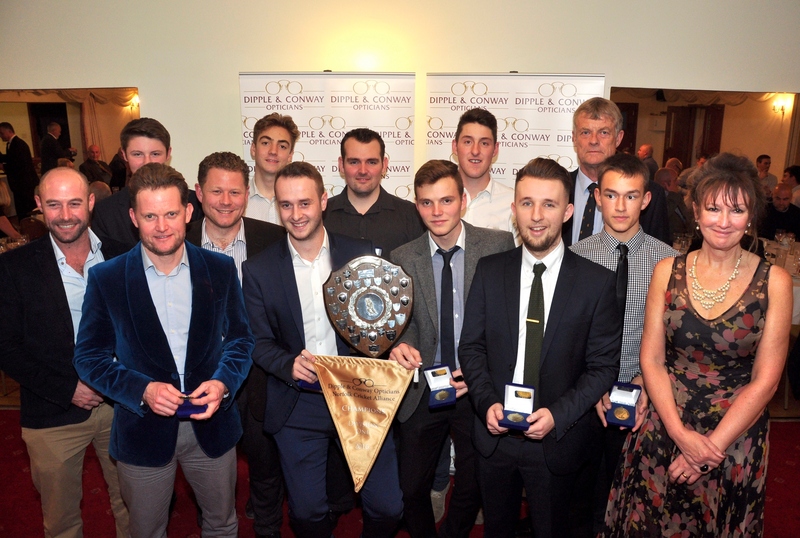 Horsford A receive their Division One champions cup and awards from Justine Conway of sponsors Dipple & Conway (left) and Alliance chairman Peter Thomas (back row, right). Division Two champions Bradfield collect their cup and awards from Alliance vice-chairman John Tythcott (left) and Damian Conway of sponsors Dipple & Conway (second). 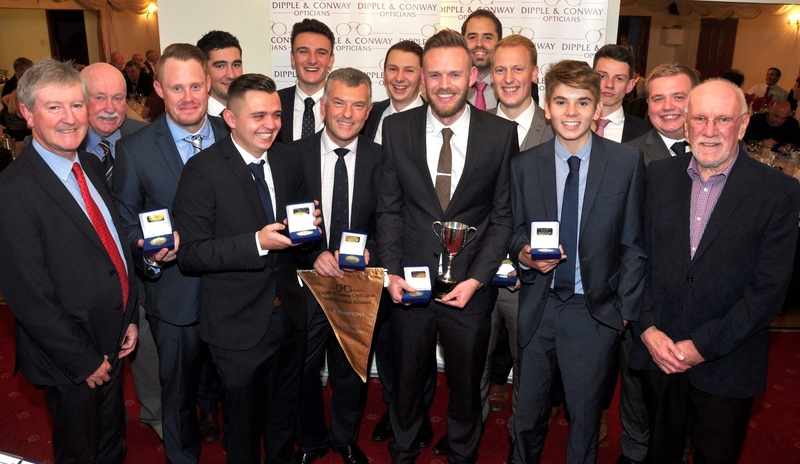 Downham Town A receive their Division Three champions cup and awards from Justine Conway of sponsors Dipple & Conway (left) and Alliance chairman Peter Thomas (back row, third right). 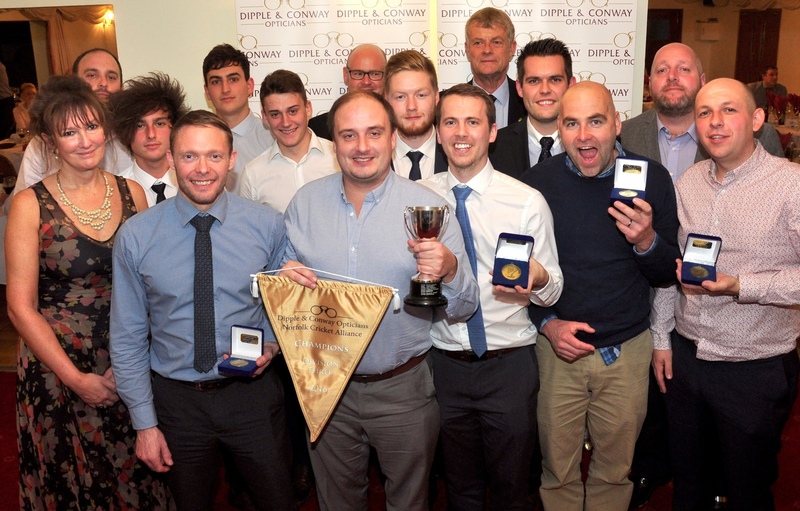 Division Four champions Martham collect their cup and awards from Damian Conway of sponsors Dipple & Conway (left) and Alliance vice-chairman John Tythcott (right). 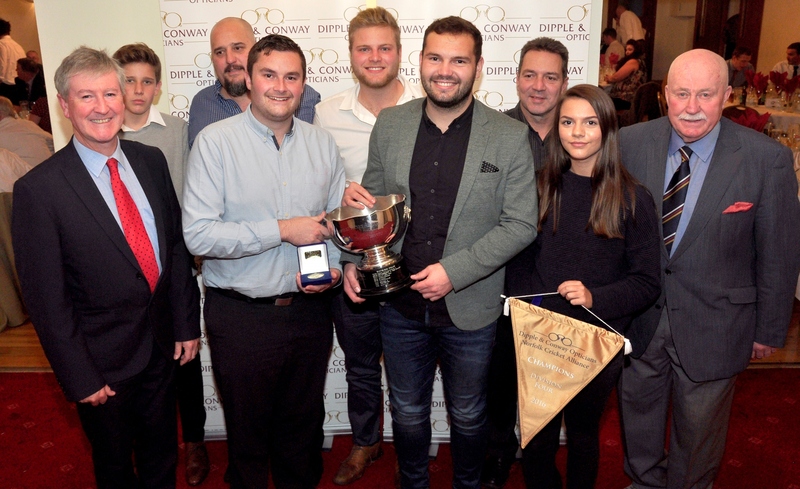 Division Six champions Hockwold collect their cup and awards from Damian Conway of sponsors Dipple & Conway (left) and Alliance vice-chairman John Tythcott (right). 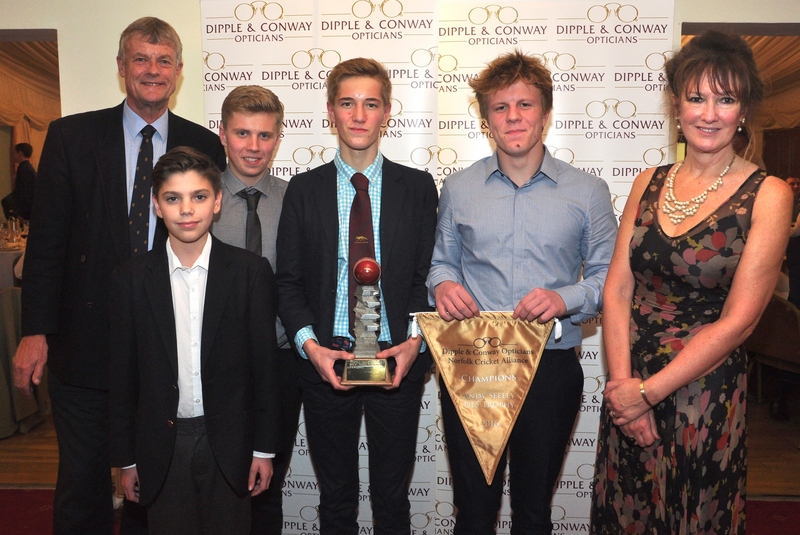 Garboldisham U15 players (left to right) Finlay Penrose, John Culling, Angus Russell and Harry Southgate receive the Andy Seeley Trophy from Alliance chairman Peter Thomas and Dipple & Conway’s Justine Conway. 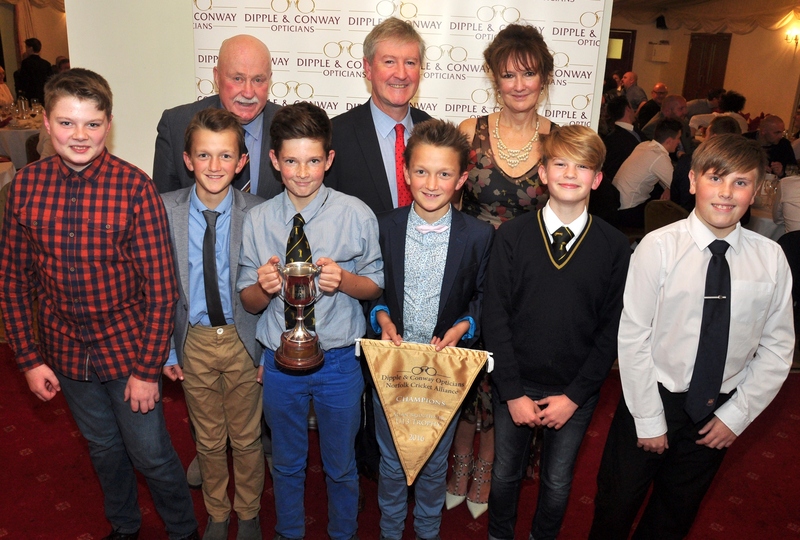 Southwold U13 players (left to right) Finley Barbrook, Ezra Fuller, Sonny Dakin-Butter, Harry Barbrook, Reuben Harvey and Joe Booker are presented with the Allan Bridgewater Trophy by Alliance vice-chairman John Tythcott (left), Damian Conway and Justine Conway from Dipple & Conway. 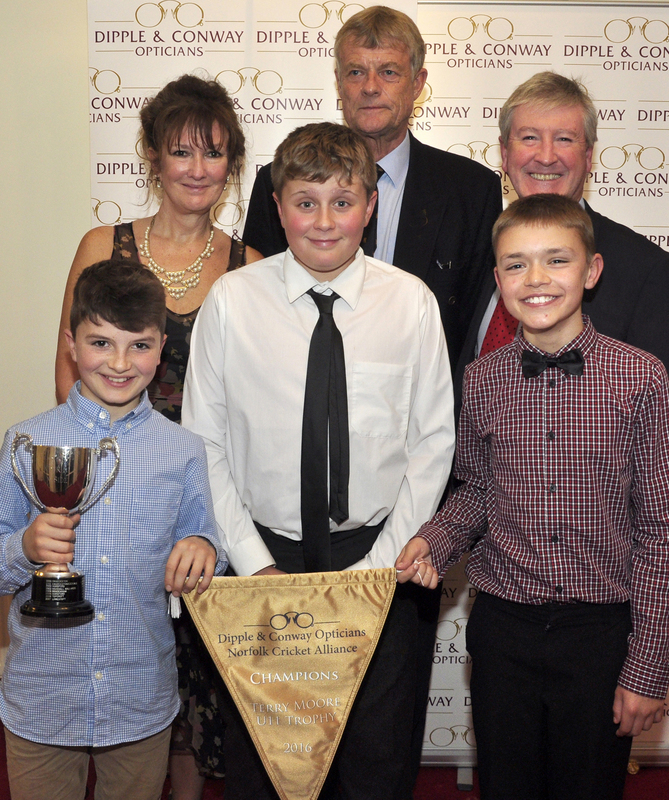 Horsford U11 players (left to right) Reuben Hollis, Jayden Borges and Ethan Metcalf receive the Terry Moore Trophy from Alliance chairman Peter Thomas (centre), Justine Conway and Damian Conway from Dipple & Conway. 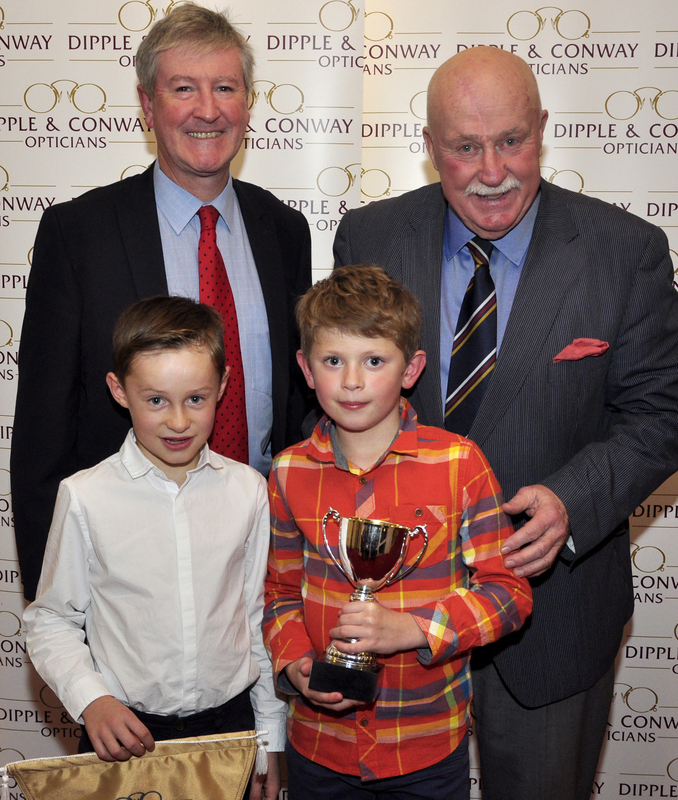 Brooke U9 players Edward Lewis (left) and Harry Whitehead receive the John Dewing Trophy from Dipple & Conway director Damian Conway (left) and Alliance vice-chairman John Tythcott.